Adele has opened up about her battle with postnatal depression after the birth of her son, Angelo. The singer told Vanity Fair magazine that she felt, at the time, like she had made “the worst decision” of her life. The 28-year old goes on to say that she “loves her son more than anything” but admits she really struggled adjusting to motherhood. “I was obsessed with my child. I felt very inadequate,” she says. Angelo is now four and Adele’s only child with partner Simon Konecki. He advised her to talk to other mothers about her concerns. She says she refused at first but the depression “lifted” once she confided in a friend who had a child and realised she wasn’t alone. She goes on to say that taking an afternoon a week to herself improved the situation. 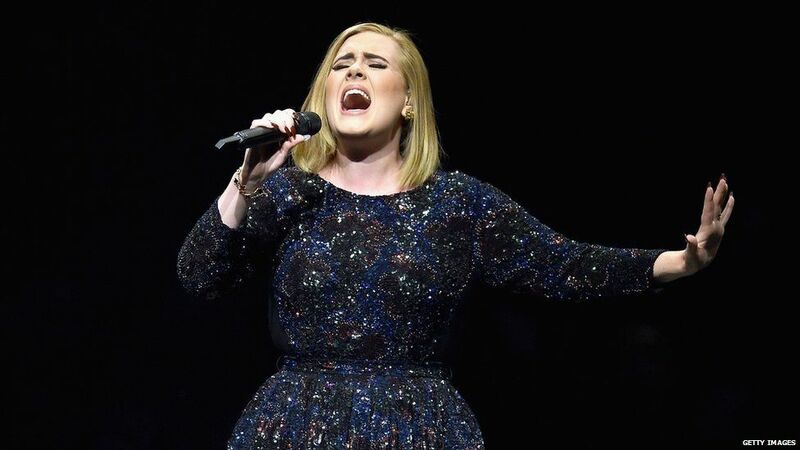 The interview comes as Adele reaches the end of her 10-month tour to mark her album 25. She admits she still feels uncomfortable spending time away from her son. “I’m enjoying touring, but at times I feel guilty because I’m doing this massive tour, and even though my son is with me all the time, on certain nights I can’t put him to bed. “I never feel guilty when I’m not working,” she adds. The singer also spoke of how her stage fright is so bad that she may never tour again. Looking ahead to new material Adele reveals that she thinks she “will never write songs as good as the ones that are on 21”, admitting “I was completely off my face” while writing the second album. She says the success of tracks like Someone Like You were largely down to drinking two bottles of wine a night and chain-smoking on a regular basis. If you want help or advice on depression, visit BBC Advice.